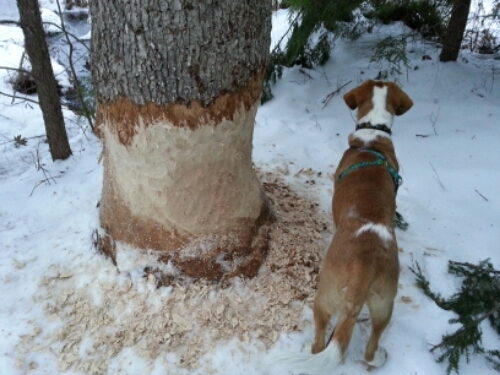 Though Harry pup does love to chew bark off of sticks, this handy-work was the activity of the local beavers. Impressive given that this tree was unmolested when I was last here a month ago. You can see much of the chewing has occurred since the last snow fell just two days ago! Good grief that’s a big tree for a Beaver to be felling. How big ARE the beavers where you live?